Do you want to have fun at your Michigan wedding reception? Do you want more than just music? 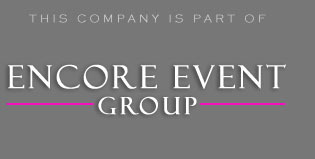 Encore Event Group is a Michigan wedding company that specializes in fun entertainment and accent lighting. Wedding receptions are over 85% of our business. So what does this mean to you? We will make sure that your special day is perfect. Period! We will offer you and your guest’s fun options that will ensure your reception will be memorable and stress free. Whether you need event lighting, world-class disc jockey entertainment, or photo booth rentals, these options are just for our wedding clientele and will help personalize your big day. Sometimes at receptions we take photos and put them on our websites. The amount varies, but they are the great shots that have your family and friends in them. These might be the same pictures that you photographer missed. You know the saying, you can never have enough pictures. Consider this as a small thank you for going with our services. When you book with us, you get a password for the Client Login. From here you can drag and drop songs as Must Play, Do Not Play, and If You Get A Chance to Play. We have over 20,000 songs to search from, and if you can not find your song, then there is an area to type it in and we will purchase it before your wedding. Another cool feature is that you will get a wedding reception planner that is basically the itinerary for your reception. You can organize all the details so everything flows smoothly. We can really personalize your elegant wedding reception and make sure the other vendors do a great job for you! Guests can now request songs online before the wedding. This helps us break the ice and let people know that we will honor their requests. You will look forward to hearing your songs played, while guests look forward to having their requests played. All songs we use are radio edited versions of clean popular songs spanning every decade imaginable. How many Pick n Play cards will you need? We can change any wall any color for the whole venue. This works great on decor such as pillars. We can even match your bridesmaid’s dresses. Room lighting will highlight your reception and give it the distinct look you desire. We can project your name onto a wall or dance floor… the possibilities are endless. These lighting packages are computerized, wireless, and dynamic. Our only limitation is your imagination. As you can see, we will make your wedding fun by giving you more than Just Music. Unlike other Michigan wedding companies, there are no hidden costs and you get a guarantee. So what are you waiting for? We have limited availability and dates book on a first come first serve basis. Reserve your wedding date today and we will let you in on the secrets that will keep your dance floor PACKED!